Is it a buyer’s or a seller’s market? 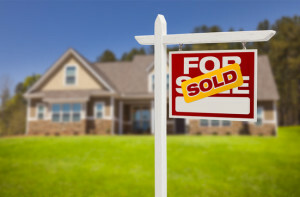 When there are lots of people looking for homes but not many for sale, this is called a “seller’s market.” When there are more homes for sale and not many people buying them, this is called a “buyer’s market.” A REALTOR® is the best person to consult about the timing and condition of the market. In a seller’s market, top price and a fast sale can go hand-in-hand. In a buyer’s market, more sellers are competing for your potential buyer. If you have to sell right now, you may wish to lower your asking price a bit to speed up the sale. REALTORS® are masters at figuring the price-to-listing ratio and know how to attract offers without going unnecessarily low. Generally the real estate market picks up in the early spring. During the summer, the market usually slows. The end of July and August are often the slowest months for real estate sales. The strong spring market often places upward pressure on interest rates, many prospective home buyers and REALTORS® take vacations during mid-summer. After the summer slowdown, sales activity tends to pick up for a second, although less vigorous season, which usually lasts into November. The market then slows again as buyers, sellers and REALTORS® turn their attention to the holidays. The supply of homes on the market usually diminishes because sellers often wonder whether or not they should take their homes off the market for the holidays. Consider this; there are still buyers in the market place! Taking your home off the market means those buyers have fewer homes to choose from. Those homes on the market at that time have considerably less competition. Generally speaking, you’ll have the best results if your house is available to show to prospective buyers continuously until it sells. In this case, you don’t really have to worry about playing the market. If you sell your existing home for a low price, you’re probably also buying at a low price. If you are upgrading to a larger home, this actually works to your advantage. Imagine when your bigger home is on the upswing. If you’re downsizing from a bigger home to a smaller home or a condo, you need to pay a bit more attention to the market. 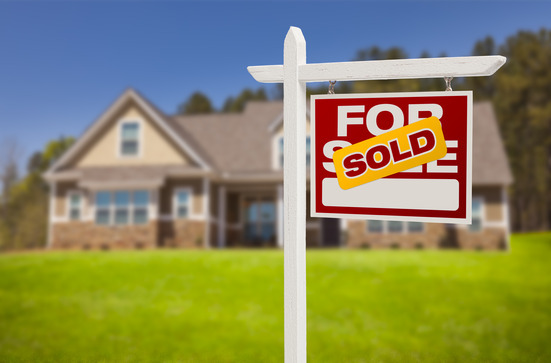 Many people are able to time their sale and purchase so they happen on the same “closing date.” Buyers can make their offer “conditional” on the sale of their existing home, to make sure they’re not left paying for the upkeep of two homes. When selling, you can try to extend the “closing period” to give yourself more time to find your next home. REALTORS® are very skilled at this sort of negotiation, and can make your transitional life a lot easier. Talk to your existing mortgage lender. You may be able to arrange “Bridge Financing.” This is when your lender (the bank) is confident your existing home will sell quickly, and they agree to lend you the down payment for your new dream home. Did you work with a REALTOR® before? Sticking with a REALTOR® just makes sense. If they did a good job helping you buy your home, they’re probably the best candidate for helping you sell it. They already know the home inside and out, and they know you, so you’ll save time two ways. A REALTOR® that works and lives locally knows the market area of your home the best. They know all the positive conditions of your neighborhood. At RE/MAX LifeStyles Realty our weekly office tours showcase your home to all of our REALTORS®, allowing them to see first hand your home, so that they can expose it to buyers quickly. We work together as a team to get your home sold! A REALTOR® that works for a well established brokerage firm, such as RE/MAX LifeStyles Realty is guaranteed to achieve the results that your hoping for. Our market share speaks for itself, we sell 40% of the homes in the Maple Ridge and Pitt Meadows area. This does not happen by accident, it happens with the committment of the top negotiators in the industry and a strong marketing campaign designed to help you sell your home. You can see that commitment whenever you watch TV or listen to the news, RE/MAX advertises more then any other franchise. At RE/MAX we want to get your home sold! How much is my home worth? A REALTOR® will prepare a free comparative market analysis on your home. A “CMA” is based on recent sales and listings on the market that will compete with your property that are similar in size, style and location. A REALTOR® will adjust their calculations according to differences from your home and others on the market. Your REALTOR® is experienced in the market conditions of your area and neighborhood. They will help guide you to choose a competitive price for your home. Your goal is fair market value. “Market Value” is a term that simply means the maximum amount of money that interested buyers are willing to pay for your property. Remember, buyer’s comparison shop, especially for something as expensive as a home. You probably have worked with a lawyer or notary in the past. A lawyer/notary will handle all of the documents for the sale of your home, including the discharge of any mortgages that you may have on your property. What should I do to get my house ready? The way you live in a home and the way you sell a house are two different things. First and foremost, “declutter” counter tops, walls and rooms. Too many “things” make it difficult for the buyer to see their possessions in your rooms or on your walls, however don’t strip everything completely or it will appear stark and inhospitable. Clean and make attractive all rooms, furnishings, floors, walls and ceilings. It’s especially important that the bathroom and kitchen are spotless. Organize closets. Make sure the basic appliances and fixtures work and get rid of leaky faucets and frayed cords. Make sure the house smells good, hide that kitty litter! Property Disclosure Statement: As the seller your are required to disclose any major problems with your property. These items may include: strata property fees; whether or not work done on the house meets local building codes and permits requirements; plumbing problems; roof problems. Remember that disclosing them at the time of the listing will mitigate a potential lawsuit in the future. A “short sale” is for home sellers who are upside down on their mortgage. The home’s value is less than the amount of the mortgage. A hardship must exist, then sometimes home owners can negotiate with lenders and split the difference between the sale price and loan amount, which still must be paid. A short sale is often complicated. Upon acceptance of the offer your home is SOLD! Your REALTOR® will then ensure that the appropriate documentation is provided to your lawyer for the completion of your sell. What are your options with an offer? Accepted offer: You agree to the sell price, closing dates and conditions of the offer. Reject the offer: The offer was to far away from you asking price, or the conditions were unacceptable to you. At RE/MAX LifeStyles Realty we are experienced team of negotiators will act on your behalf to help you to achieve the best possible price for your home. You now have an accepted offer, and a legally binding agreement. Your home however is not quite sold yet, it still must go through the process know as “closing” to complete the transaction. This part though is handled by the professionals. So what happens, and what do you have to do? Congratulations! You have sold your home, (with a little help from us)! You have completed one of the most stressful tasks that you may experience in your lifetime. At RE/MAX LifeStyles Realty are team of experienced negotiators will help you get through this exciting, challenging time. We will walk you through each step of the process, and explain to you fully any questions or concerns you may have.